Again Occupy LSX makes us take a stand. 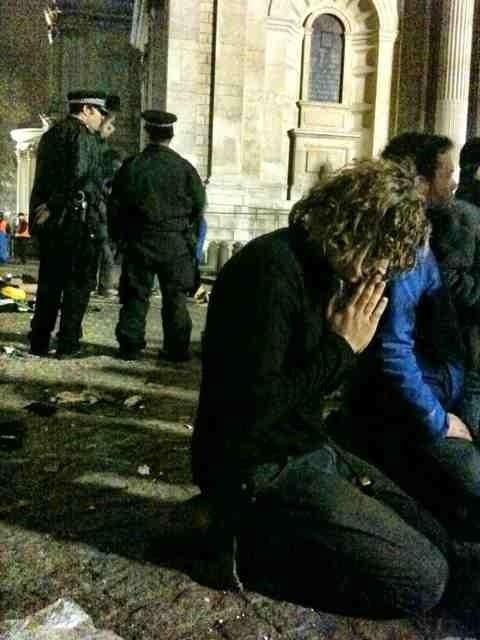 Seeing the above picture of a man praying whilst Police demolish his tent, in front of the Sunday Church, weekly State Monument, I think St Pauls was exactly the right place, the 99% movement is not about so much about corporate greed and immorality – that will always be with us – but it has been about our souls, it has been about who the 99% are, not the 1%. The evictions, like the crucifixation, are outwardly a failure, but they are a beginning and all credit to the occupiers who stayed there, they have shown a sense of community that is sadly lacking within society, and they have made us think of what we believe in, what we want from our lives and have underpinned the Leveson enqiry to the rottenness of the ‘system;. In the scheme of history the protests have not been on a grand scale, but they have been a silent witness, a mirror, reflection what society has become, and more importantly what it can be. The Camp as encompassed anyone wishing to be a part of it, just like the Cathedral they are in front of. The visuals are not good, Police against people praying, clearing the way for the pomp and circumstances of the Diamond Jubilee and the Olympics, because we cannot be seen as a country that allows honest, peaceful, protest and capital. It has become an eyesore not on St Pauls, but on this Government that is steadily eroding freedoms for the sake of big business. Reader, reflect on how you stand in relation to the events of the evening of 28 February, make your choice – do you accept the unbridled power of capital, or do you accept that protest against the machine, even if fruitless, is the nobler cause in that we retain our souls? I don’t really have strong views about Gay Marriage, in fact my views are fairly reactionary and it wasn’t until in conversation with a friend last year that I began to consider the issue seriously. Fast forward to the past few months and I listen to the Church of England tell me that the proposals to introduce Gay Marriage was going to be an affront to civilisation as we know it and totally undermine marriage as cornerstone of society, according to Lord Carey, former Archbishop of Canterbury, just to grab another slice of hyperbole it transpire, according to the to Carey, marriage does not belong to the State. The Coalition for Marriage is a new ‘grassroots’ organisation to defend society against people getting equality, sorry introducing Gay Marriage. Firstly the argument of same but equal has not been addressed in the criticism of the proposed, it is discrimination, pure and simple and as such cannot be condoned. Looking at society at the moment marriage is not the most popular of institutions, on the decline with those marriages that do take place increasingly likely to end in divorce, look at Queen Elizabeth 2 children three out of four have been divorced and this is the Head of the Church of England, in fact the next incumbent of Supreme Governor of the Church of England has been divorced, committed adultery and remarried – so the Church can hardly get sanctimonious about its position. I find it strange that the Church, or society, can egislate against who we fall in love with and who we want to spend our lives with, creating stable relationships within the context of society and the economy. The argument that that gay marriage will undermine society does not hold close examination, marriage itself is not the bedrock of society, and relationships are not in the purview of the Church. 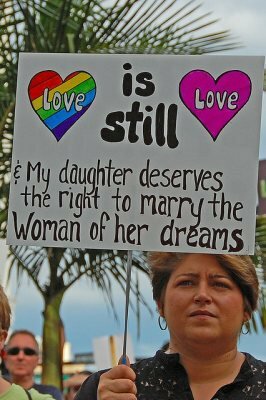 Marriage does not belong to the State, or the Church, but to the people who chose how to define their relationship. Whilst I respect people of faith, the corollary in a democratic libertarian society is that people of faith have to respect my stance; society falls down when we do not respect each others views. 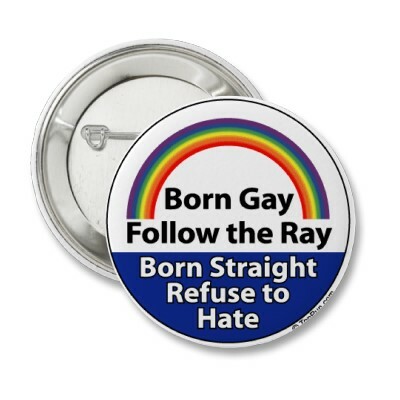 Harsh as it may sound if some Christians do not agree with gay marriage, then they do not have to participate – though the question of the Church closing its doors to gay couples wanting to get married does seem an anathema in the 21st Century. 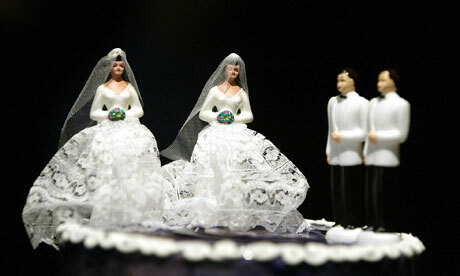 Gay marriage is an issue for the Church, it has to ask itself the simple question “what would Jesus do” – and do it. The subject was the the publicaiton of the Risk Register on the NHS Reforms. Mr Tomlinson informs me that the NHS were mentioned in the Conservative Manifesto but his ‘boss’ publicly said there would be no ‘top down reforms’ of the NHS, there is a major dissection of the it going on at the moment, apart from the fact that he is totally wrong and does not have a moral or democratic mandate to privitise the NHS he now is refusing to publish the Risk Register. The Risk Register sets out the possible risk of the the current – I apologise I can’t call it is a re-organisation of the NHS, a reorganisation is re-arranging the chairs, moving the Parking Space, what they are doing is privitising the Health Service and I can’t move on from that point so I am going to call it what it is – privatisation. Mr Tomlinson towed the party line about that the register is a glorified think piece of what might happen, what could go well, what could go wrong, and to an extent I accept this argument, but we have a right to know what could go wrong because the NHS belongs to all of us, and if there are messing about with it I want to know that they have thought of everything. Interlude: The reason I abhor the current plans on the NHS is that the Tories and the LibDems – lets not forget these political opportunists – are pushing through is that the NHS is the greatest achievement that this country achieved in the past 100 years, it is glorious, when you read what it replaced it is a pinnacle of humanist & christian achievement that this country has produced – I really do beleive in the NHS, though I do not use it a lot, it is there, it is constant, and it should be above politics, the this Government has politicised and in an outstanding piece of political thuggery ignored the vast majority of the population from the ordinary person, through the Unions, right up to the Royal Colleges of Medicine – this government has truly united the people! Back to the plot, and why the Government will not give me information on what the risks are with the privatisation of the NHS, every time we have a Tory Government they insist of devaluing the NHS, yes it needs reform, not destroying. Also I want to know what risks the Government are taking with the Nation’s Health Service – if a go to a Doctor they will outline the risks so I can make an informed choice, make a judgement – it makes me wonder how reckless this government is being about the NHS, and that makes me angry, very angry. It is not only a case of wanting to know, it is a case of needing to know to have an informed debate about the process, the Government are calling the opposition scaremongerers but they are not providing the information to have a full debate. Parliament should have full knowledge of the possible consequences of any course of action the Government is undertaking (perhaps with the exception of current military operations, or where people’s lives could be put in danger) – isn’t that what democracy is all about, or have I missed something? 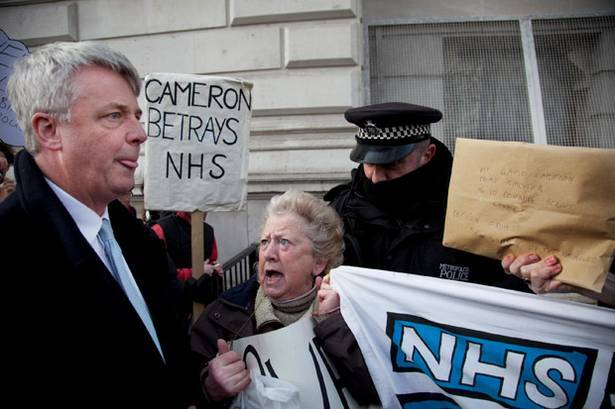 The NHS ‘Reforms’ are politically motivated, embarked upon with obscene haste to further political dogma. Apparently Cameron is favour of transparency – when it suits him. Why are the government afraid of transparency, of democracy, of the people? I always feel a sense of shame when I go to Dresden, and when I went by train from Leipzig in 2011 that shame felt no different. Winding it’s way through the near Alpine valleys of the outskirts of Dresden on a warm summer’s day it was hard to imagine that 67 years ago I would have been entering a flattened shell of a city – well not even a shell, more of a vast scorched wasteland of rubble and decaying corpses. 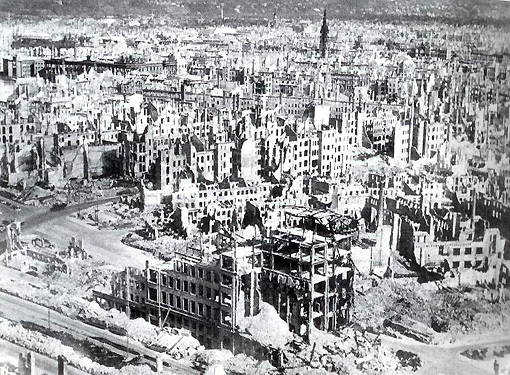 On 13 February 1945, just a few weeks before Germany unconditionally surrendered, 1,300 Bombers dropped 3,900 tons of Bombs on the city, at least 35,000 people died, I say at least 35,000 but that is very much the lowest estimate, but 35,00o men, women and children saw their world come to an end, recent research suggests that the figure could be as high as 100,000. The crime was not that Dresden was a cultural capital of Europe with some of the finest buildings on the continent, not that the city was bombed into oblivion because there were no more cities to bomb because the Allies had total air superiority and had systematically bombed every German city, and to be brutally honest, they had run out of cities to bomb, the crime was that the city was ‘home’ to refugees fleeing the Red Army and had sought sanctuary. There was no reason to bomb Dresden, even if it had the ability to produce munitions, Germany was on its knees and did not have the manpower to use them, the fuel to transport, or an ability to organise resistance, the evidence that Dresden was manufacturing weapons is scant to say the least. I come from Sheffield and I know the horror stories of the bombing of my home City, and I know Coventry was also levelled – and interesting fact that Dresden is twinned with Coventry – but the destruction of Dresden was just revenge, cold and bloody, and it wasn’t done in my name. War is not a numbers game but consider if you will that during the Blitz of Coventry 390 people died – again a tragedy but not justification. The timing of the raid was cruel as well, with three hours between the raids it was designed to lure the population back into the streets – a trap. The resultant firestorm turned the city into a single column flame. On 6th February 1952 a twenty-five year old woman learned of her father’s death, and that she had got the ‘top job’ – whether she wanted it or not, and now we celebrate her Diamond Jubilee. I am a proud socialist, left winger, and Northerner and I will celebrate the Queens Diamond Jubilee with pride, pride because if nothing else she has been faithful to her calling and also that she fulfils a role that a politician could not and an apolitical representative Head of State that can unite this country and be ‘our face’ in the world political arena, The Queen has also managed to achieve a longevity for a Head of State that is enviable, having held the post without killing political opponents to keep the position. I am happy to swear allegiance to the Queen and her Country, a pledge I could not make to a political figure, whether it be Prime Minister or President. A lot of people do not share my point of view, and here is not to argue the point, but suffice it to say that in my opinion the Queen, or generally the Monarchy, fulfils the roles of the American Constitution, Bill of Rights and the Republic in unifying a culturally diverse population around a common cause to create and cohesion and a sense of identity. The Queen has been Head of State for a lifetime, and like her predecessor Queen Elizabeth 1 of England it is hard to imagine the United Kingdom without Elizabeth Windsor as Head of State, the problem is what happens when there is a change of occupancy, it will be uncharted water, the vast majority of the population of the UK has not known life without the Queen being on the throne – this is the strength of both the Monarchy and the Queen in that it creates a sense of continuity, of order, of reference outside the madcap world of the political arena. Just think of your life, and the people you know, most of them will have lived their lives within the reign of the Queen, I find that amazing in the shifting sands of the political mire we know. To amplify the what I mean about the unifying common influence the Queen has I would suggest we only have to look at last year, her trip to Eire was for me the justification for the monarchy, she represented the country without bringing politics – and she did it with the utmost of grace and tact, laying aside her feelings about the murder of her cousin in Eire, and the political history. Only he Queen could go to Eire. Critics of the Monarchy normally focus on ‘getting rid of the institution’ but rarely focus on the ‘what with’ – another flawed, self-serving, has been politician, or having the Prime Minister as Head of State, both mired in politics and rife for division and not a unifying force, but whilst the monarchy remains apolitical it is there to ensure the smooth transition of political power, and the sense of permanency of the real ‘State’; the Presidents would still cost money, they would need a residence, a ‘Royal Flight’ (used by Prime Ministers as well) or a State Train to collect dignitaries; and if all these argument fail then lets just admit there are more important things to worry about at the moment. I might get involved in the arguments of whether we should become a Republic, but suffice to say I will be arguing for the retention of the Monarchy and that we should be celebrating the role of our monarch and the service that she has given to this country. When people speak of the ‘The Queen’ its the British Queen they are referring to, no other explanation needed! All I can I say is “God Save her Majesty” ! 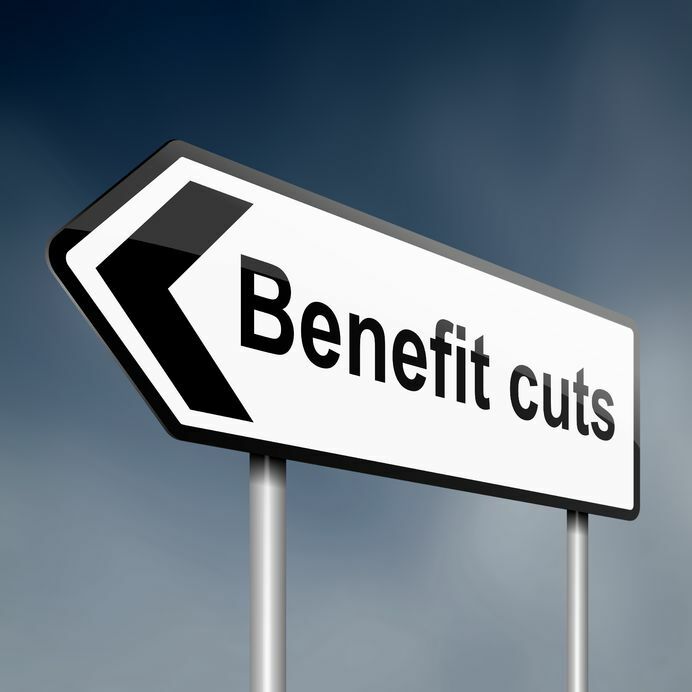 Cameron and the Cuts – lets make it personal! Reading Twitter this morning it suddenly dawned on me where the problem is with arguments about the savage Welfare Cuts being made by this Government, whilst refusing to regulate Bankers bonuses, it is quite simply we argue in the abstract, and not the personal. Put simply how does a 10% cut in anything matter to the average punter who are struggling themselves under the cuts, its one less trip, one less meal out, it’s an abstract argument – what does really make a difference is when you put a face on the argument, when you use a real person, when you show what it means. I was asked last March why I was marching, 500,000 people taking to the streets to protest against cuts and job losses whilst ‘we’re all in this together’ Dave was the at the Henley Regatta; I am not a Public Sector Worker, I am, at the moment, reasonably comfortably off, though my partner is facing the cuts, my arguments were taken from the Socialist Lexicon about solidarity and protecting society for everybody, but still I was asked “how do the cuts affect you” I then parried with something about the National Health Service, but since I rarely use the NHS that didn’t wash – more questions – with back against the wall I citied the cut in the local Bus Service, “that’s, legitimate, go and march you have a reason”. suddenly the cuts stop being an academic argument and the question changes from the morality of the cuts to “Minister, do you think it is right that person had his benefits cut three days after finishing chemotherapy? The policies are now real laws that are hurting people, and here’s an example, there’s an example, what about this person. We have to make the argument specific, we have to get personal. The adage that there are “lies, damned lies, and Government statistics” always works in the Government favour, while else would they use them, they hide the truth and they minimise the impact, two examples firstly an old Daily Mail headline “33% PERCENT OF COUNTRY WANT TO GET RID OF THE MONARCHY” firstly I would challenge their figures, but it means 67% are in favour or not bothered, secondly “a 1 % drop in University applications, not a lot unless you make it personal, that’s 44,000 people fewer people applying to go to University. The percentages that the Government are trotting out are fairly small, even if they used numbers it would be meaningless, but you when you know that the person down the road is living without heat, and not getting enough to eat because the mothers Welfare Benefit has been cut, then it becomes personal, a consequence of the savage cuts. Government figures are obscuring the human tragedies.